Jersey got back to winning ways and moved off the foot of the Championship table with victory at Moseley. Kyle Evans and Harry Casson went over for Moseley, either side of Martin Garcia-Veiga's try for the visitors, as the lead changed hands six times in the first half. Charlie Butterworth crashed over from a maul to put Jersey 29-18 ahead. The hosts, who were temporarily reduced to 13 men, could not find a way through the Jersey defence after the break. 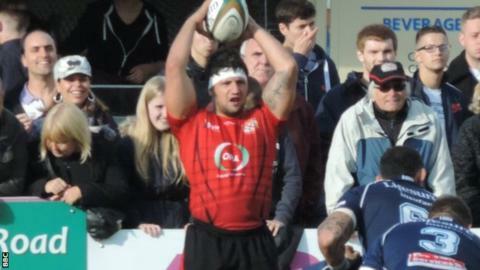 Captained by prop Sam Lockwood, in the absence of injured regular skipper Alex Rae, Jersey went into an early 6-0 lead thanks to two Brendan Cope penalties. "Jersey made full use of their power up front in the driving maul and scrum. They drove the life out of the Moseley defensive line-out. They worked hard for this win." But the hosts hit back when winger Evans latched onto a cross-field kick to get the opening try before Greg Charlton was sent to the sin bin for bringing down a maul. Jersey then made the man advantage count when Argentine Garcia-Veiga went over moments later. At the other end, lock Casson scored his side's second try, in the corner, but Cope's penalty on the stroke of half-time ensured the islanders were 19-18 ahead at the break. Casson was later sin-binned and again Jersey took advantage, crossing through loose forward Butterworth from a catch-and-drive move, to lead 29-18. Prop Craig Voisey was shown the Birmingham-based outfit's third yellow card of the afternoon, again for an infringement in the maul, as Jersey saw out the game to move above their opponents in the league table.